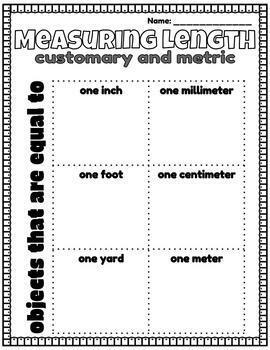 This product focuses on being able to visualize standard customary and metric units. 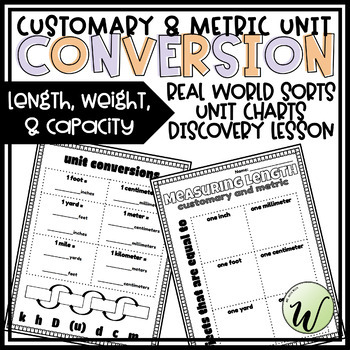 This is a three-day lesson that allows students to discover what everyday objects fit into each measurement category as well as giving the students the unit conversion charts through song and on paper. The fact of the matter is that unit conversions are a VERY hard concept for 4th/5th graders. 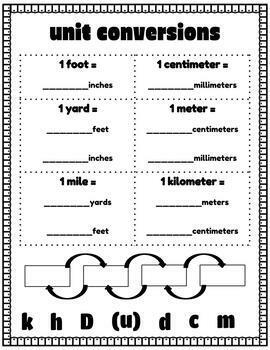 While there are many reasons this subject is so hard for students to understand, one issue I have found in my years of teaching 5th grade is that the students just don’t know what these units are. They don’t have enough life experience to visualize what these units actually mean. Therefore, over the years I have moved away from drilling facts into their heads and moved towards trying to get them to be able to conceptualize the units. I give them the unit conversions, but my focus is more on what a unit looks like.